Smartprint is the range of roller printers designed to reproduce patterns on flat surfaces by means of photo-engraved rollers. The Smartprint range is a solution for UV curing coating and printing, recommended for producers of plastic mouldings and panels, or coils, for the furniture industry among others. Modular solutions available, on request, for working on panels or mouldings using solvent, water and acrylic UV cure coatings. The reduced dimensions and low operating costs make this machine ideal for positioning either in-line or outside an extrusion line. Smartprint is available in 4 configurations: SMARTPRINT 300 for coating and integrated printing; T/20-1STP, 2STP, 3STP, equipped respectively with 1, 2 and 3 photo-engraved rollers for precision application of ink, perfect for reproducing wood effects on flat surfaces. SMARTPRINT 300: Coating and printing system. Modular solutions on request for working with panels or mouldings, using solvent, water and acrylic UV cure coatings. T/20-1STP: Single head printer equipped with a photo-engraved roller. 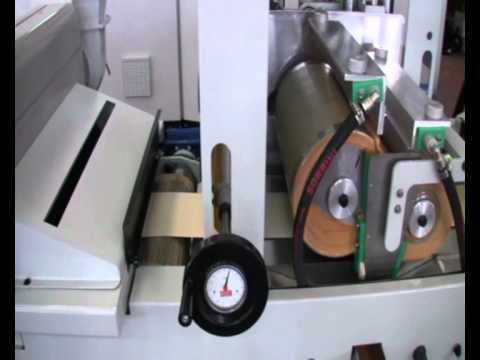 T/20-2STP: Twin head printer equipped with two photo-engraved rollers. T/20-3STP: Triple head printer equipped with three photo-engraved rollers. Smartprint 300 is the most complete modular solution for coating and printing.